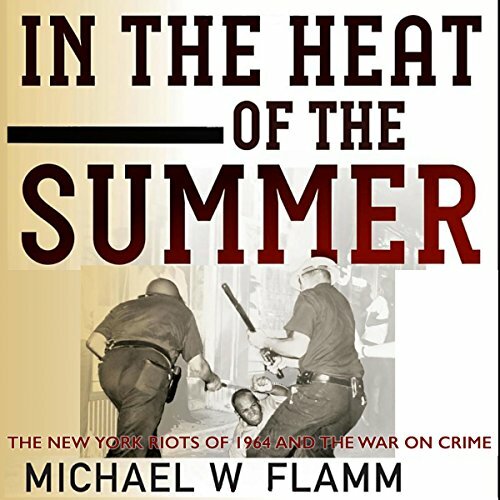 Showing results by author "Michael W. Flamm"
On the morning of July 16, 1964, a white police officer in New York City shot and killed a black teenager, James Powell. Two nights later, a peaceful demonstration in Harlem degenerated into violent protests. During the next week, thousands of rioters looted stores from Brooklyn to Rochester and pelted police with bottles and rocks. Michael W. Flamm draws on personal interviews and delves into the archives to move briskly from the streets of New York, where black activists like Bayard Rustin tried in vain to restore peace, to the corridors of the White House.